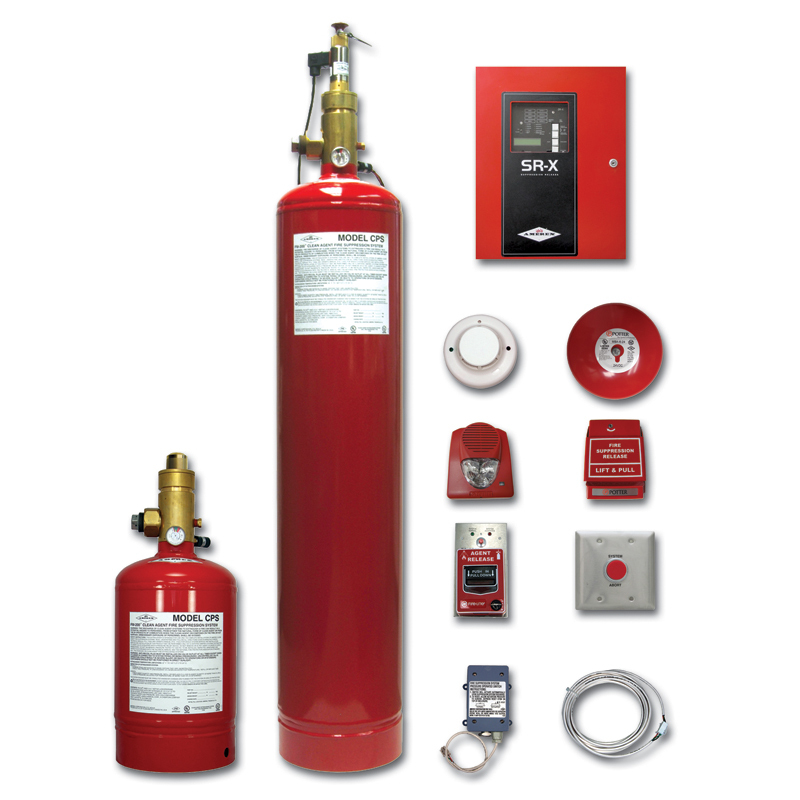 Utilizing the industry recognized DuPont™ FM-200® and 3M™ Novec™ 1230 Fire Protection Fluid, Amerex has developed an affordable pre-engineered clean agent fire suppression system to protect areas with sensitive electrical equipment and valuable data. As an industry leader in innovative design of products that provide the quality and performance you expect, Amerex has developed the CPS system to be the most cost efficient clean agent system available. The modular design incorporates pre-assembled wiring harnesses and keyed locking connectors on all electrical components to assist you in a simple and confident installation.